We went to The Nihon Minka-En today. Our helper mum was Mrs. Clarke. There were many groups because Mrs. Fincher's and Mrs. Clark's class were mixed together. 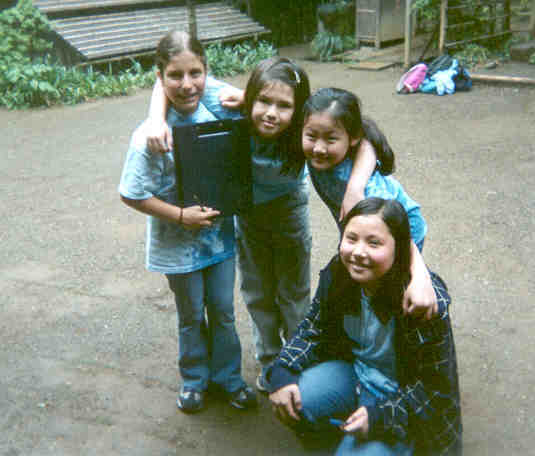 In my group there was me, Nicole, Katarina, Charlotte, and Emmile. Our house we had to go was the Ito family's building. Since it was number seventeen, we had to walk a long way. When we got there, we got jobs. There were five jobs. I was the first person to do a job. My job was to name the building, when the house was made, where it was originally built, who owned the house, and what did they make to get money. I will now tell you what I wrote on the pink piece of paper where I took notes. I changed it to paragraphs. The name of our building was called " The Ito family's house". 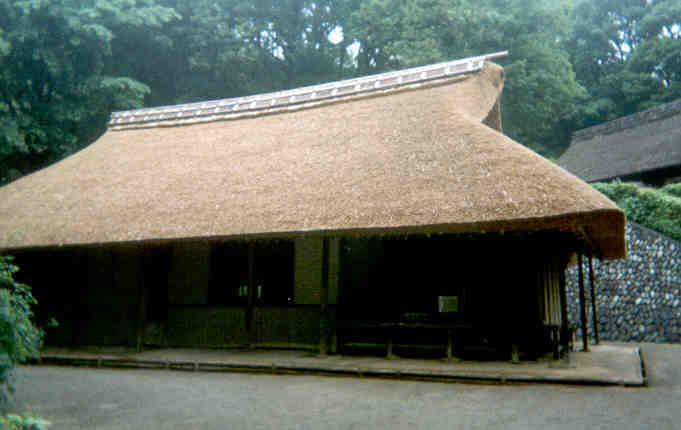 The date when the Ito family's house was built was in the early 18th century. The original Ito family's house was in Asao in the northwest part of Kawasaki city. Kawasaki city is in Kanagawa Ken. The Ito family didn't always lie around and watch the birds fly, they did work to make money. The Ito family made Soya bean paste. In Japanese you call it miso. That is why I think the house was big by selling miso to the people in their neighborhood. In the 18th century, that was how they make money by miso and made their family live longer and made them healthy. We went to Minka-en to study about what are the traditional houses in the Edo period. We got a job for us to do and my job was to look at the furniture and tools and see what they do and how it is helpful for people who lived there. We were assigned to look at house number seven, the Emukai house, and it is a Buddhist chapel. It was built in the late 17th century and the early 18th century. They made the house by wood. The roof was a sharply inclined roof so all the snow would slide down off the roof easily. It was like a stable in there, and lots of tools. The people who lived here were the Buddhist priests, a samurai named Heike, and refugees. There was a kaibaire and it is for picking up the dead leaves that fell from the trees and put them in the kaibaire. It helps the people clean up outside, and also making it into a fertilizer for the crops. There was a pot to make mochi, and you have to pound the rice to get mochi. There was a kamisukiwaku and it was for making paper. Good thing they had a tool to make paper, because if they didn't have that tool then the Buddhist priests would have some paper to write on. There was a miso-beya to store soybean paste for the winter. There was a niwa and that is a big pot for indoor working and cooking. It helps the people there cook all their meals. There was also a room there so they can weave cloth. This is important to them because it would keep them warm in the winter. I thought it was fun looking around at the houses and I think this park is very cool. It is the eighteen century and our story revolves around the Ito family. They lived in the peaceful countryside of the Asao ward in Kawasaki. They were farmers of soy beans and this is what the family did for a living. Other farmers in the area grew rice, plums and cabbages. The weather was hot and their house had a beautify thatched roof which kept them cool. Bamboo fences and stone wall reflected the simplicity of life in Asao. Walking in the wood and doing takoage- kite flying while having butterflies and dragonflies were everywhere. Everything around was peaceful and it was good to live along the side of the Tokaido Road.